5) What are the features of RDBMS? Structured Query Language is used to communicate with a database. According to ANSI (American National Standards Institute), it is the standard language for relational database management systems. Data Definition Language, it is subset of SQL, used to define the database structure. Data Manipulation Language, It is a subset of SQL, used for managing data within schema objects. Data Control Language, it is a subset of SQL, used to control the data. 12) What are the important RDBMS that use SQL? Important relational database management systems that use SQL are: Oracle, Sybase, Microsoft SQL Server, Access, Ingres, etc. 13) What is SQL Server? SQL Server is a relational database management system (RDBMS), developed by Microsoft. SQL Server runs on T-SQL (Transact -SQL), a set of programming extensions from Sybase and Microsoft that added several features to standard SQL, including transaction control, exception and error handling, row processing, and declared variables. The Oracle Database (Oracle RDBMS) is an object-relational database management system (ORDBMS) developed and marketed by Oracle Corporation. MySQL is an open source Relational Database Management System. It is very fast, reliable and flexible Database Management System. 16) What is Database Testing? Verifying Data Integrity, Data consistency, Data comparisons and Data back-up and recovery operation. 17) What is data integrity? 18) What is data comparison? 19) What is Database backup and recovery? Using Database backup and recovery data will be secured and increased the performance of database management system. 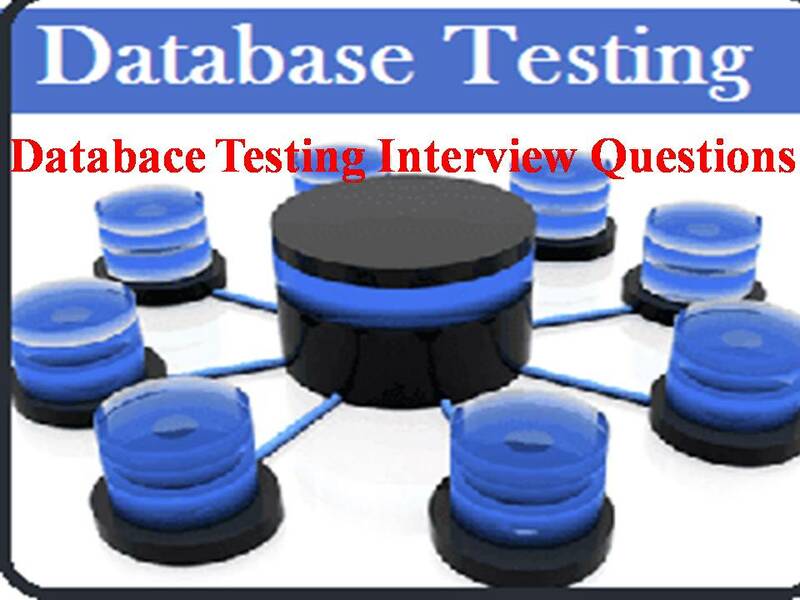 20) What are the different stages involved in Database Testing? 5.The field size defined in the application is matching with that in the db. 21) What steps does a tester take for testing Stored Procedures? 22) How to check a trigger is fired or not, while performing Database testing? 23). How to test Data Loading in Database testing? We have to do the following things while we are involving in Data Load testing. iii. Check the compatibility of Source and Target. iv. Open corresponding DTS package in SQL Enterprise Manager and run the DTS package (If we are using SQL Server). v. compare the column’s data of Source and Target. vi. Check the number to rows of Source and Target. vii. Update the data in Source and see the change is reflecting in Target or not. viii. Check about junk characters and Nulls.